Tired of just sticking extra high capacity magazines in your pockets or wish there was a better was to carry them? 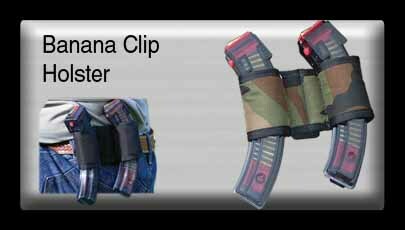 This Banana Clip Holster allows you to easily carry two 25 or 30-round magazines wherever you go on your belt. 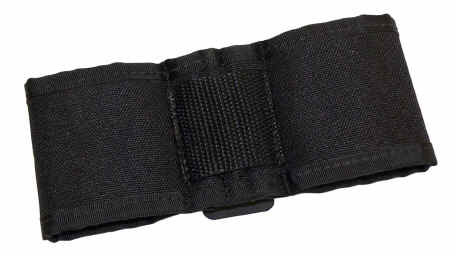 High durability fabric won't rip or tear, and a spring-steel belt clip allows you to clip the holster to your belt, pants, pack, sling, almost anywhere.